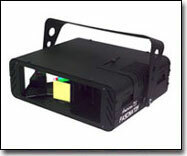 Every system supplied by Media Jockeys comes with a computer to assist the jockey in running their event. 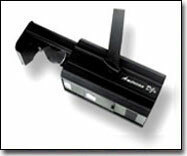 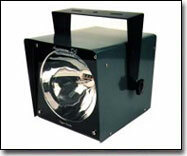 It is a key element in delivering the highest quality mobile sound available. 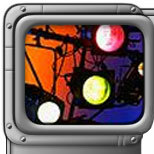 Each computer is equipped with media players, a CD player, equalizer, sound processor, and our extensive collection of music. 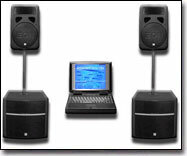 We use both laptops and desktops with flat panel monitors to deliver a great digital sound and a clean, professional appearance. 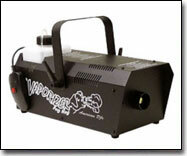 The rest of the system is tailored to your event needs. 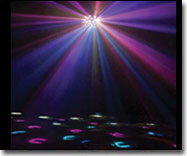 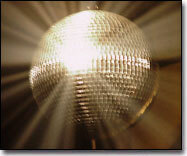 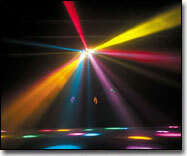 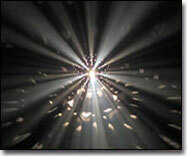 Lighting-effects are an important ingredient for setting a dancing mood. 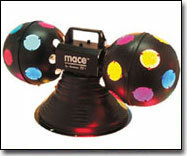 They help to transition an event from a laid-back cocktail or dinner environment into a fun and lively dance party. 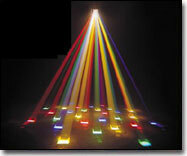 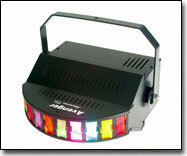 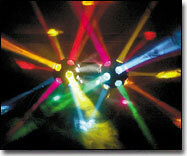 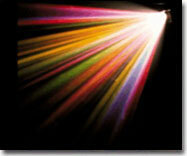 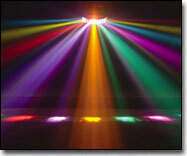 That is why we include a set of subtle color chaser lights standard with every DJ system. 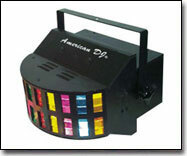 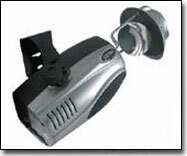 These lights are very compact and are placed on top of our speaker cabinets. 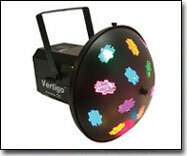 When turned on they flash to the beat of the music in a variety of patterns and are very helpful in setting a dancing mood. 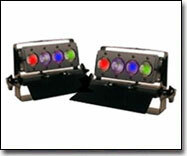 Complimentary chaser lights displayed to the right. 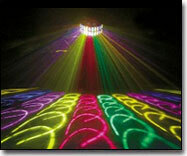 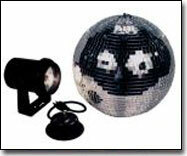 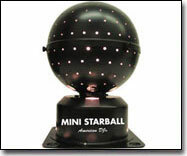 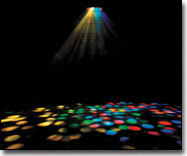 To further build a party environment consider adding additional effects like mirror balls, strobe lights, black lights, high-tech lights, intelligent lighting, fog machines, and/or bubble machines. 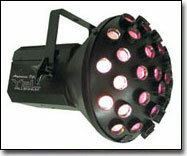 See our additional lights below.